First purchases in some time as real life is very very busy! Jaws: The Revenge (UK DVD, Universal) --- Own more than one copy, but this had an "Unleash the Beasts" slip I have never seen. 41 releases for £19.50 - got to love the awful used market. The Punisher (1989) (BD) [U] --> Not a fan, got it for the extras. 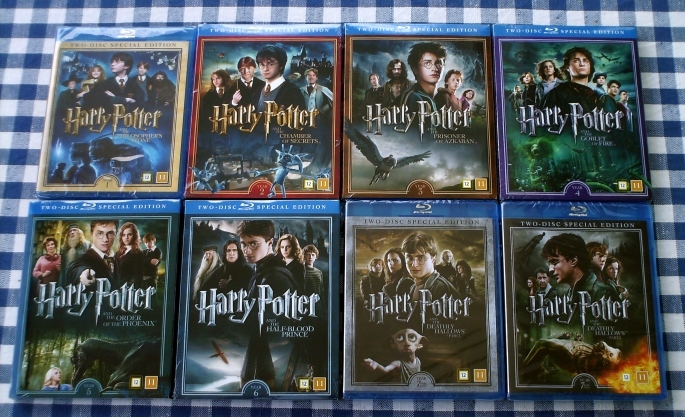 The Scandinavian 2-disc Blu-rays of the Harry Potter series cost à €5 at CDON.COM. I already own the U.K. 2-disc editions for the films 6–8, and have to find out if the second discs are the same or different. I’ll post the specifications when time permits.